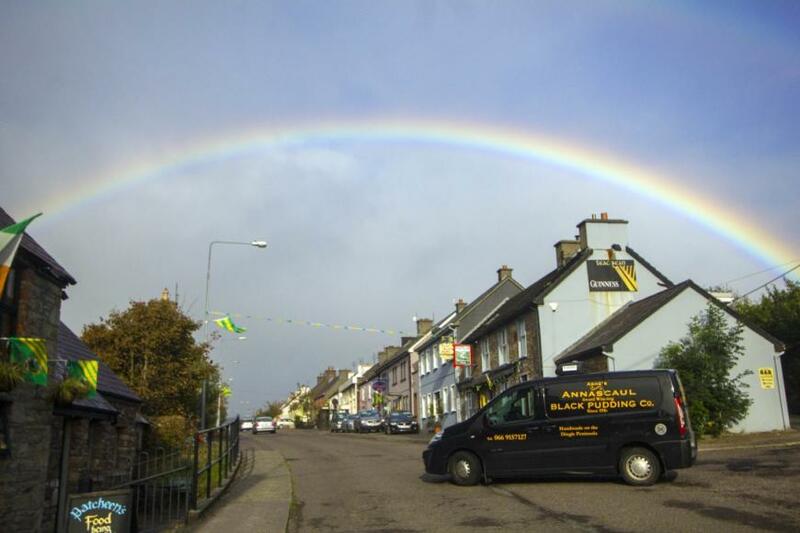 Home > Buy &	Producer > Annascaul Black Pudding Co. 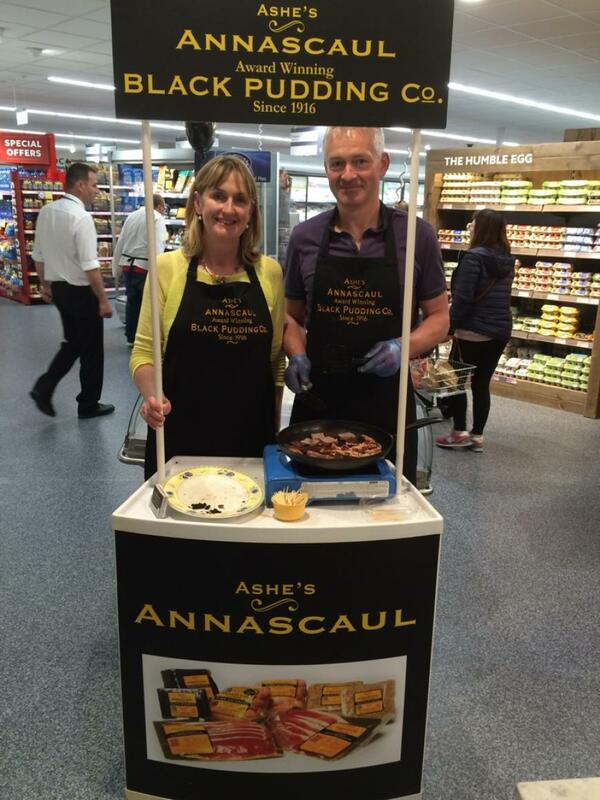 Renowned for its smooth, dense texture, Annascaul Black Pudding has been made here by hand since Ashe's shop was established in 1916, and is now joined by white pudding and homemade sausages, all made by Thomas Ashe using fresh natural ingredients. 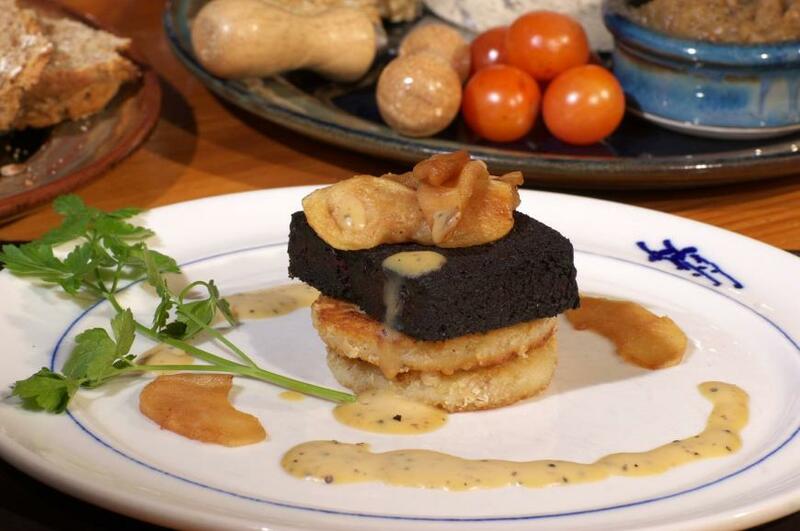 Renowned for its smooth, dense texture, Annascaul Black Pudding has been made here by hand since Ashe's shop was established in 1916 and, unusually nowadays, it is made with fresh blood. 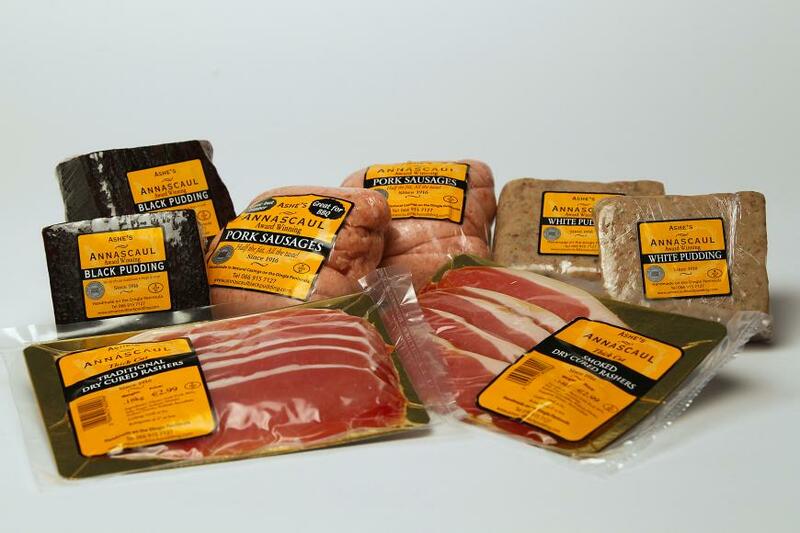 Still made to the original recipe a century later, it is also joined by white pudding and homemade sausages, all made by Thomas Ashe using fresh natural ingredients. In line with consumer demand, the Ashes have now developed a gluten-free recipe for their sausages, which were launched onto the retail market in 2015, and gluten-free puddings are under development. The Ashes are understandably protective of the reputation of their black pudding, but the fact that it is made with fresh blood gives it its distinctive flavour and that will not be lost in the gluten-free alternative. 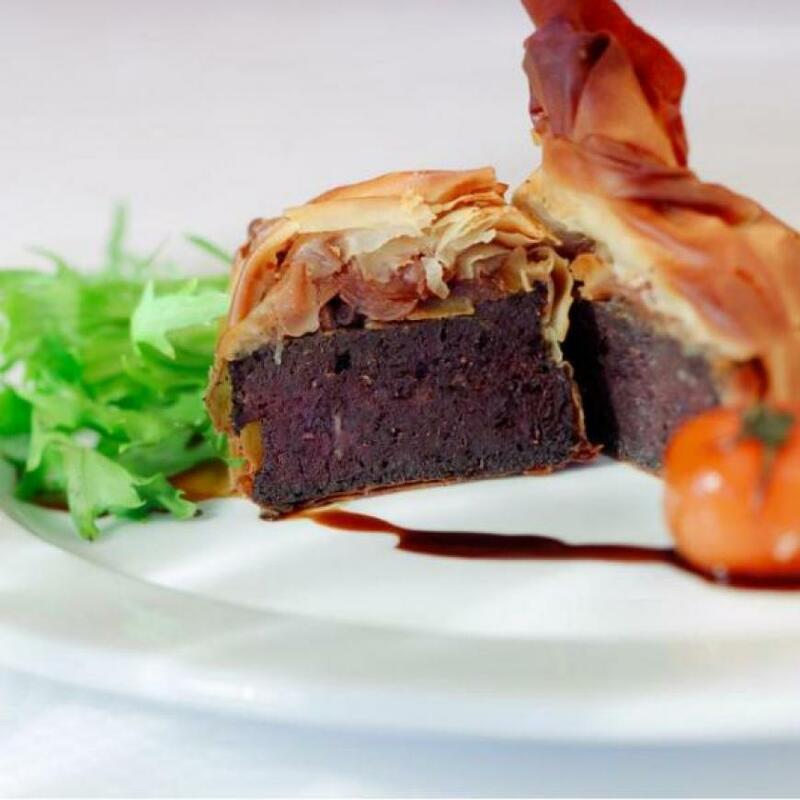 Annascaul Puddings are proudly showcased by many restaurants, so look out for them on menus in the area. 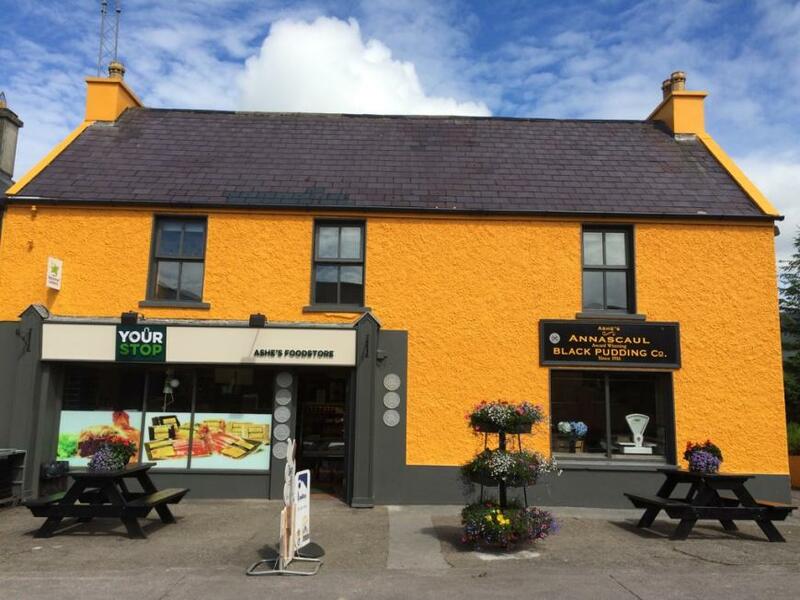 The puddings, and Thomas Ashe's other products, can be bought in their shop in Annascaul, selected shops in the region, and online.